At the end of the year and also the triathlon season 2009, it's time to look back. Let's do that quickly, since it was my worst season ever when looking to results. Good news is that my injuries are history now. At the moment I am already preparing myself for the first races in 2010 and confident to return on the level I would like to compete. This week I did my first run training at speeds exceeding the slow endurance tempo and it felt good. One thing I certainly should do is thank my sponsors they keep on supporting me with despite the economical crisis and my disappointing results lately. Consistency will bring us somewhere, let's look forward to a great 2010! I’m just back in the Netherlands after staying for 9 weeks in the USA. I had a great time there. After Hawaii I went to Tucson, Arizona, for 5 weeks of training. 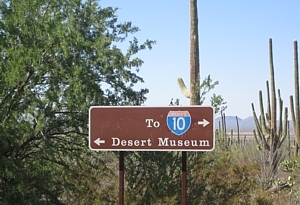 You can read in a lot of travel books that old or sick people go over to Arizona because of the climate. The air is very dry and there is sun for over 90% of the time. Hopefully this will help for my back injury as well. My goal was that my injury was over when I leave the States and that I could run for 1 hour without pain. And next to that, have a good aerobic base period with a lot of bike miles. 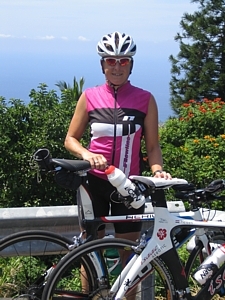 The first week I trained together with triathlete Trix Blattman. We stayed with a very nice host family, who took care of me for 5 weeks. It was so great that I was a little bit sad to leave. When I arrived in Tucson it was very hot. So the first day we decided to ride Mount Lemmon. It is a great ride, 45 km of climbing! I was not really used to the climate, so it was though. But the views were so beautiful that I almost forgot that I was suffering. I did this ride 5 times when I stayed in Tucson. The third and the fourth week I trained together with Heidi Jesberger from Germany. 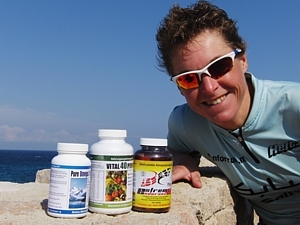 She was competing in IM Arizona and wanted to train in Tucson before the race. It was great training for both of us and we had a good time. We did all the cycling together, unfortunately I was not able to run with her. But my running was going better. When I arrived in Tucson I started with 6 times 1 minute running with 4 minutes walking in between. My leg was still hurting, but after 4 weeks I was running for 1 hour without pain. So I achieved my goal, at the moment I’m injury free and I would like to keep it like this. Last weekend I had to say goodbye to my homestay, the Poehlman’s. I went to Tempe/Phoenix to watch the IM on Sunday. I stayed two nights at my sponsor’s: Extreme Endurance place. They were very nice and hospitable and they live in a beautiful spot. On Sunday morning I went to Tempe to watch the race. Of course still a little bit sad that I couldn't defend my title from last year. But to be honest: I felt more tired from watching the race then when I’m competing. So I have a lot of respect for all the spectators during an Ironman. To summarize my feelings about the month of July: I am very happy to be back into racing again. 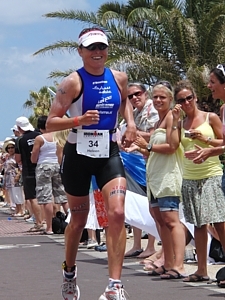 My first race was a 1/3 distance triathlon in Holland in which swimming and cycling felt great. 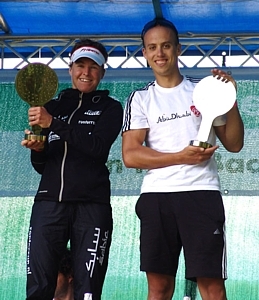 Running felt well too and I really enjoyed being able to finish the race in 2nd place behind Dutch duathlon champ Maud Golsteyn. After a few other weeks of training at home, we left for a short Europe tour. First stop was a 1/2 triathlon in the German town of Offenburg. Swimming was OK, but I really could not find my legs on this very specific bike course. We had to take a lot of corners and small climbs and descents during the 4-loop ride and the rainy weather wasn't encouraging eather. But when we switched to running, the sun appeared and I really warmed up for a good run. At the end of the day I was a very happy person, not only because being on the top of the podium, but also because of running well in a race for the first time since January. Then we drove to the France Alpes, for our preparation on the Alpe d'Huez triathlon. This is a very specific race as well, including 3 long climbes of about one hour duration each. I have to admit that I had never rode a climb in the Alpes before and I was only used to some of the 20-minute-or-shorter-climbs on the Spanish Islands of Lanzarote and Mallorca. So we decided that it was time for a new experience and that preparing for this race and doing it would perfectly fit into my schedule to gain some power on the bike for the important races in coming months. Well, the positive thing about this is that I think that indeed my cycling can improve if I am able to make the transition in coming weeks to use the power on the more flat and hilly terrains in preparation on Almere and Hawaii. And another thing is that I really enjoyed doing this very hard race which will add to my experience in long course racing. I only felt a little bit disappointed when looking to the results-list. I knew that I had raced conservative by looking at my power-meter all the time, but I did not expect such huge gaps with the other girls. This tells me 2 things: First of all, I might not be the natural born climber. And second, I am not there yet, which inspires me a lot to work hard in the coming weeks of training to improve towards IM-shape. Next goal: The Dutch Championships on the Long Course in Almere, end of August. Dear international readers, I will give you an update of my last two posts in Dutch. The IM Lanzarote has been more than 3 weeks ago now and I feel very well during my training. The injury really is history now and I start to feel confident about my running again. We have been thinking about and looking into a lot of things to try to reduce the risk on future stress-fractures, as we know that I am sensitive towards this stupid injury. Although I did not run that high weekly volumes before, we decided to be even more careful and reduce running volume in the future to be able to have more recovery-time for my body in between training stress. To compensate for that I will focus a little bit more on my cycling by increasing volume on the bike. Hopefully it helps and at least I always feel like cycling is helping me in improving running shape as well, but running doesn't help me in better cycling performance, so it should be a good choice. We made my schedule towards Hawaii and I will be racing in some events in Holland, Germany and France in June and July, before focussing on the Dutch Championships long distance in Almere in August. 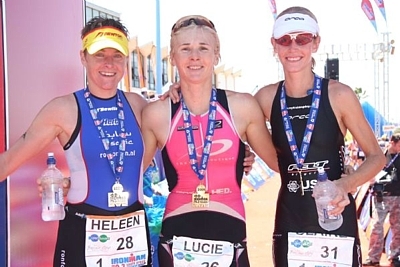 I almost can't wait to finish a triathlon again, because my 2nd place in IM70.3 in South-Africa (mid January) was the last time I crossed a finish-line! But I have to be patient for one other week and that will not be hard. Because this upcoming weekend we will enjoy the SABIC Triathlon in our hometown Stein. As it is simply too early to race the 30km in a fast pace on the hilly running-course here, I will compete as a swimmer in a short distance relay team on Saturday and do the cycling part in a girlpower relay team on the long distance on Sunday together with 3x Dutch champion on the Olympic Distance Birgit Cals-Berk as a swimmer and Sydney-2000 Olympian Sylvia Pepels as the runner in our team. What elso do I have to tell you? 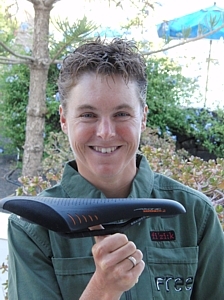 Of course you should know that I am very happy to announce that Fizik saddles is one of my new sponsors! Just before IM Lanzarote I got the Arione Tri2 saddle in the lightest possible "Carbon braided" version. Even the saddle-bridge is made out of carbon and the saddle still sits very comfortable. I rode an Ironman on this saddle just one week after receiving it and it felt fantastic, without any saddle-pain. I would like to thank the Fizik people for being part of my team and making it possible to perform on this level in sports. If you look to their products, you immediately understand that they know how to unite high quality, performance and a goodlooking design in a single saddle. One year ago I finished 2nd after a rather fast recovery from a stress fracture in my left foot. 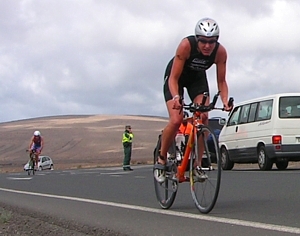 I promised myself to come back to Lanzarote to try to win this race in 2009. Unfortunately, 3 weeks ago I knew that this was impossible. Before the Vulcano Triathlon on the same Island here, I still hoped that I would be fit enough in time for the Ironman. But during the Vulcano I was still recovering from another stress fracture (in my right foot this year) and my foot started to hurt again, so I knew enough. First I struggled with myself about if I should start the IM or not. But I’m glad I did. It was very difficult mentally for me the last weeks, especially if you add the DNF from my last IM race in Malaysia. It is hard to motivate yourself for a race, which you know for sure you won’t finish. I started the race as if it was an important race but then with 12 km of running instead of the full marathon. We decided I should quit at that point. The risk of hurting my foot again was still too high and besides that I didn’t do any long runs for the last 10 weeks. So this was my plan. I started the race with again not a very impressive swim part. My swim training in the pool is going well, but in open water and during a race I can’t show it yet. But I keep trying and know for sure that one day it will come out. The bike part went super. I had a good day, and that started to hurt myself mentally. But than I said to myself: “stick to your plan”. You made a plan and just work it out. Don’t start thinking about: "what if ……". So I did. I came in third in transition and started the run just 4 minutes behind the number one at that moment. I was very glad with this result. The 12 km run was just for fun and try to keep my technique as good as possible. 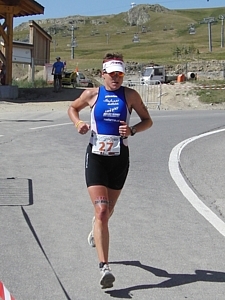 It felt very good and my foot is still ok.
From this race I got my self-confidence back. I’m looking forward and excited to finish a race again. Coming weeks I will pick up my run training and focus on that. I am very determined to prepare for an excellent 2nd half of this year. I will update my race schedule soon and you will hear from me! During the Powerman race in Horst I had a positive feeling, but that was only cycling for me. In the meantime I also started running and it went well so far. 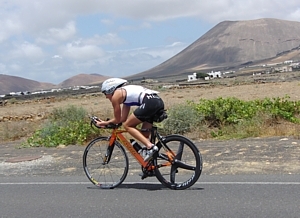 Since Tuesday I am staying on the Canary Island of Lanzarote again and after a few days of recovery training the Olympic distance Volcano Triathlon took place yesterday. For me it was a test to check if my foot would hold during the 10k run. We almost started to believe in my "mission impossible" to make it to race in Ironman Lanzarote within 3 weeks, but my foot told me not to do so. When I felt some pain I stopped running immediately and took a walk back to the finishline. We immediately decided not to run the marathon in IM Lanzarote. I probably will start to train on the swim and bike parts, but I won't risk a further injury on the run. My weeks here on the island will become a trainingcamp towards the 2nd half of this year and in the meantime I will slowly try to build-up my running again. Hawaii is on the calendar in October so there is still time enough. Rob will join me here next weekend and then we will update my planning again, but I think I will not race for some time to focus on better performances later. The first half of this year is defenitely not what I expected and a big dissapointment, I really would like to race a fast Ironman again, but for now I just have to be patient for a while. It's only 6 weeks after my disappointing race in Malaysia, but there has happened a lot in the meantime. I will give you a short update: The first thing was that one week after the race I got injured by a nasty stress-fracture in my right-foot. I know I am sensitive to this kind of injury (have had 4 stress-fractures before), but the moment really surprised me. Remember, I even did not run the marathon in Langkawi after a low-volume taperweek, so finding out where this stress came from was a real puzzle, and I still don't understand it completely. Anyway, it had quite some impact, being the second big disappointment in a week. I did not run at all for 4 weeks to recover and luckily we already scheduled a 3-week training-camp on Spanish cycling-paradise Mallorca during that period. So I made my hours on the bike and in the pool, even did some of the boring aqua-jogging stuff. I feel very strong on the bike now, but only did some minutes of running last week, which means that I am not ready to start in the National and European Powerman duathlon Championships in Horst next Sunday. This year I became one of the ambassadors of this nice event and now again I am not able to race in my home-province. By the way, last year it was because of the same reason, with the only difference that the stress-fracture hit me in my left-foot and 3 weeks earlier on the calendar compared to this year. Racing in Lanzarote will become a race against the clock. Last year I made it, although I wasn't completely satisfied with my running then, but this year it will be an even bigger questionmark if I am able to run a marathon in May. We'll see. Then the sponsornews: I am very happy to announce my partnerships with Suunto (I will be promoting the Suunto T6c heartrate monitor with all the extra functions that allow you to also monitor speed, distance and much more) and with Extreme Endurance, a fabulous new supplement. Extreme Endurance claims to help improving your aerobic capacity, treshold power, recovery and give you less muscle pain after intensive training or racing. Tests do prove most of these facts, but at first my attitude was: "Yes, there are a lot of these supplements and they all tell you they are damn good, but why should this one really help?" Then after my win in Arizona the people from Extreme Endurance gave me some product to try in my training and I really convinced myself. During the high mileage in the South-Africa trainingcamp I recovered well and had the feeling my training had more impact than before because I was able to push a little harder. I really appreciate this sponsorship with Extreme Endurance. Sunday they will be present during the Powerman in Horst to present the product to the European athletes. Four days after the race I still have very unsatisfied feelings. It had to be my first Ironman of the season. But I only can blame myself, because I decided to quit the race. Beforehand I thought I was ready to race, and I still think I was. The swimming part was ok, but as soon as I climbed on my race bike I felt weak. I never found my cadence, my legs hurt already in the first loop (even after a pretty good taper-week), I felt tired, I had a light headache and stomach problems. It had nothing to do with the heat, I was perfectly prepared for these circumstances by training in South-Africa and arriving in Malaysia 2 weeks before the race. But I could not ban these feelings out of my head to go for it. I felt empty and I did not have the inspiration to go racing. When I was passed by girls which I passed earlier in the race, I decided to quit. Now I think this is the most important learning of this race. I am so mad about myself that I did not finish the race, that I started to think about that. I was not good on race-day and I think to know the reason (it is not mentally). But the next step is how to handle with these circumstances. Now I know that quitting the race in this case was mentally. Of course, it would have been a though race when I had finished, but I trained well enough to do that. Even on a day when you are not feeling very well, you can fight for it and keep going. I should have thrown away those negative feelings. It is a pity that this has happened, but I cannot go back in time. The next time this will not happen again. I learned from this situation. I am looking forward to the upcoming races and I think that I am even more motivated. Some people think that it was a good decision to quit the race in these (tough) conditions. And it is true, when I had finished the race I would have needed 2 weeks of rest. Now I can train and focus on the future. But still I prefer that I had at least tried to finish. Just continue now. As we say in The Netherlands: "After rain comes sunshine!". I have been home for one week, but tomorrow I will already leave to Malaysia for the Ironman which will be held on February the 28th. Like my hair-dresser asked me this week: "Do they recognize you at Schiphol Airport?". Well, that's almost the case, although I have been using several airports in the surroundings here lately. 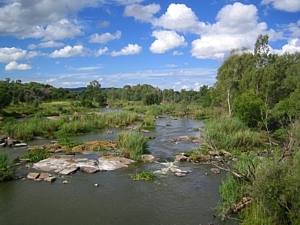 The last 3 weeks in South-Africa, Mariska and I have been training in Potchefstroom, near Johannesburg. We had a wonderful time. The weather wasn't that perfect as I am used to in South-Africa, but we could execute our full training program. It was raining a lot, sometimes non-stop for more than 24 hours. But with a bit of flexibility you can do a lot. In those 3 weeks, I swam 59,6 km, biked 1676 km and ran 236 km, which I think is a good boost for Ironman Malaysia. And our skin-colour has a nice teint, so it wasn't that bad at all. One of the advantages of all that rain-showers is that the surroundings looked nice and green, as you can see on the picture below. As said I have been home for one week now. Unfortunately I was ill for several days. It already started in the plane, had a stupid small virus in my stomach. Luckily I just recovered in time for the next trip, which means that I will enter the plane tomorrow with a smile on my face, together with Irene Kinnegim, who will do her first Ironman as a PRO. Rob will visit us later, before the race. Irene and I hope to get used to the climate, which they say is even worse than Hawaii: very hot and very humid! The race itself is on February 28th, on the island of Langkawi, along the shoreline of the mainland up in the north of Malaysia. There will be quite a huge PRO startfield at this race, with several others who have won Ironman races, so that promises an exciting race. I am very curious about my own level, as I only have been done a lot of long slow distance training in South-Africa in preparation towards the upcoming season. So we don't expect peak-shape already. But I am excited to race again! Hopefully this also becomes a nice adventure. I will keep you updated! 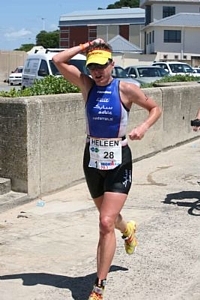 Heleen had an early start of her 2009 racing-season today, resulting in a 2nd place in the Ironman 70.3 in the South-African coastal city of East-London / Buffalo-City. Her friend and training-partner Mariska Kramer, also from The Netherlands, placed 4th. Both girls don't have peak-shape yet and they mainly travelled to South-Africa to train in ideal conditions (compared to the Dutch winter). But once they were there, of course they would battle for the podium positions in the race. The shark that hold them back from training in the ocean on Friday was gone, so the organization could guarantee a safe start this morning. Heleen is happy with her 2nd place, mainly earned by a good cycling leg: "In the first part of the swim I still could see Mariska, but after the turning point I had problems with orientation due to the big waves. Suddenly I saw a group of swimmers again, I have been drifted away and definitely swam too much. My cycling was OK and I passed most of the other girls, but I had serious problems with the race nutrition. I decided to stick to my own nutrition and only took additional water. Unfortunately, during the run my stomach started cramping again. I still could run in a steady pace, but it didn't feel easy today. Luckily I could hold the other girls off for 2nd. Lucie was never within my reach, she was simply too good for me today. It was a tough race anyway: the wind was blowing and there also was some climbing on both bike- and run-course. And of course it was hot, but that didn't bother me, I liked the sun, that's the reason we have travelled so far! " Heleen and Mariska are heading towards Potchefstroom tomorrow, a well-known place to be for triathletes in training near Johannesburg. They will train for 3 weeks at an altitude of about 1400m and with daily high's in temperature around 30 degrees Celcius. 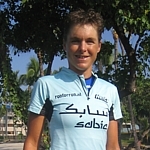 Heleen will focus on long rides mainly, as a basis for her challenging schedule in the next few months. I am very happy and proud to announce that I have signed a new contract with my main sponsor SABIC Europe, a chemical company and my former employer, for 2 more years. They already supported me very well in the last 2 years since I decided to turn PRO. This adventure went quite well and finally resulted in my first Ironman win in Arizona last November. By these nice results, I also was able to give SABIC Europe some publicity back. 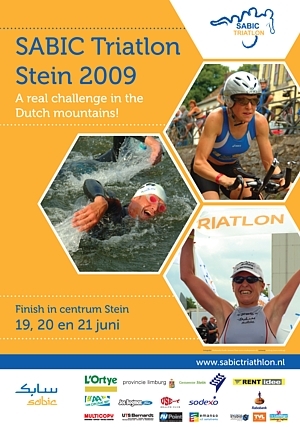 The company also supports the long distance race in my home-town Stein as a main sponsor (the SABIC Triathlon Stein), which is the most beautiful race in Holland. Aside from SABIC, all my other sponsors also continue to support me in 2009 and we even hope to announce some more new relations soon. From a sportive point of view, I am also quite busy already. At the moment you read this I am on my way to South-Africa with my dear friend Mariska Kramer to compete in the Ironman 70.3 race in the coastal area of East-London. After the race we will train for 3 more weeks in Potchefstroom at nice warm temperatures to prepare for my first full distance of the season: Ironman Malaysia at the 28th of February. I am really looking forward to leave from the European winter towards the African summer! Yesterday evening I ran the 10k of a traditional event in Elsloo, a village in the neighbourhood of our home-town Stein. A nice opportunity to test my running speed. The start of the race was all of a sudden when somebody threw some fireworks and all runners thought that it should be the official start (which was not). But anyway, my legs felt quite good after a few days of recovery. It was very cold (just freezing), but given that circumstance I am happy with my 3rd place just shortly after 2 running ladies who have the ability to start much faster than I do. I have a few days of training in the cold Dutch weather left now (and watching tv during indoor cycling, yeah! ), before I will leave to a warm South-Africa. I will update you soon about further plans and some sponsoring news for 2009. 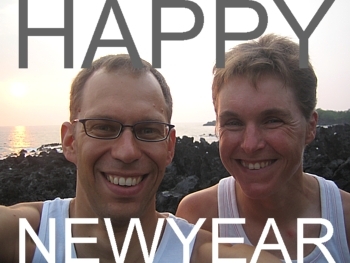 We wish you a wonderful, happy, healthy, injury-free and successful year! © 2005 - 2009 Heleen bij de Vaate & Rob de Hooge. Photographs published on this site may not be used by others without our permission.